Kylez, drops another mad tune for our playlist, and he calls this one "Tell Me". With catchy lyrics and a feel-good vibe, you'll surely keep this on repeat. Produced By Khay_Mix "The Musical Genius". 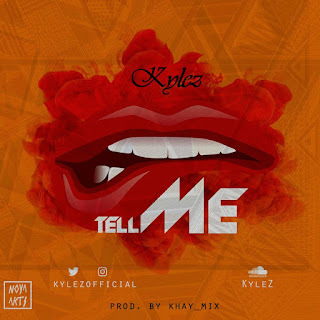 "Kylez" is a talented, fast-rising artiste. He's released various singles to critical acclaim, including "Listen" and he's recently worked with Lagos-based artiste, "ElManny" on the trending single "Badder Than You" and lots of others. His style is basically AfroFusion, Consisting of AfroPop, RnB, Trap and Soul, which he calls (A.R.T.S), the "New Sound King" is definitely one to watch for.